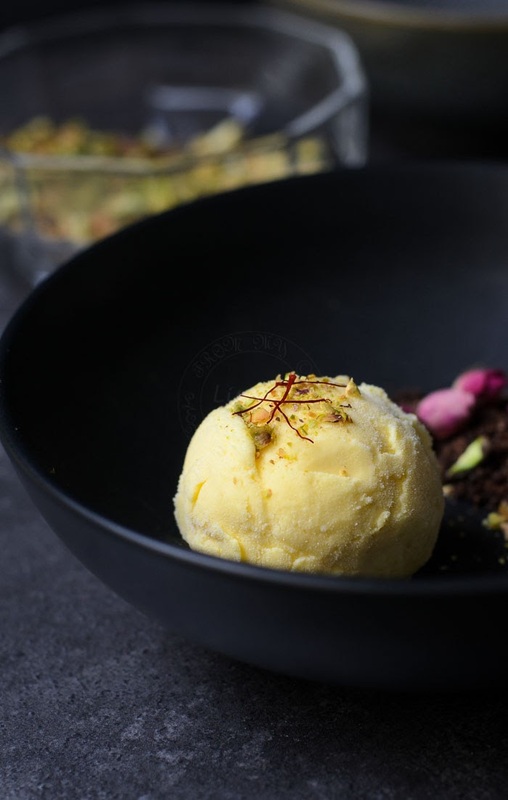 Delicious and exotic flavours of Saffron and rosewater ice-cream. Saffron Ice-cream also known as Persian ice-cream has quite a unique flavour, the floral aroma comes from adding rosewater and that hint of unique delicate saffron taste. Saffron and rosewater goes well together without one overpowering the other. Our first taste of Saffron and Rosewater ice-cream was in a Persian restaurant in the city. We were there to celebrate my birthday early this year. The Persian food we ordered were superb but the highlight was the dessert. The saying "Saving the best for last" was spot on! We were smitten with the unique and delicate taste of saffron and rosewater. Wanting to re-create the taste at home, so we can enjoy as many scoops as we like... I turned to Google! 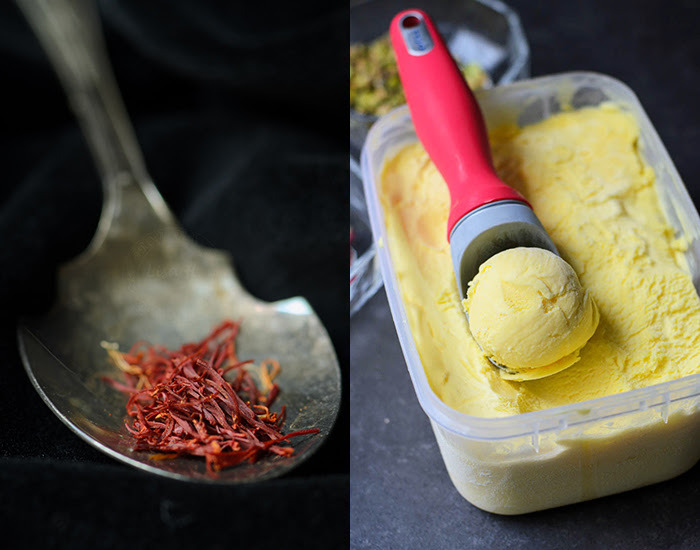 Found a good recipe of Saffron and rosewater ice-cream recipe from My Persian Kitchen. Go to her webpage for step by step to make this gorgeous ice-cream. My Persian Kitchen method wasn't laborious to make, but I just could not wait for 48 hours to have this saffron and Rosewater again. So I mixed/ cooked everything (See recipe below) and only refrigerate the custard ready to be churned in the ice-cream maker the next day. What I like about this ice-cream, apart from the great taste, is the texture. Its soft, not icy, easy to scoop even though the ice-cream tub was in the freezer for more than 48 hours under minus 4 degree Celcius. 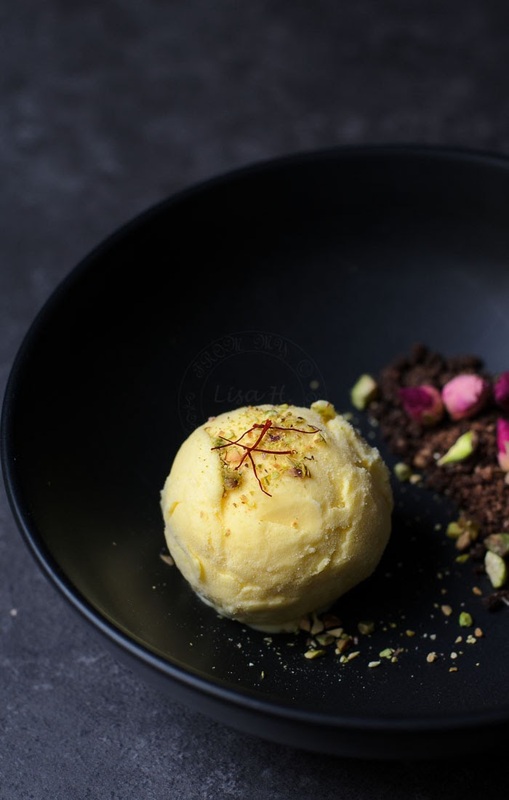 Delicious and exotic ice-cream flavours of rosewater and saffron. Its also known as Persian Ice-cream. Combine saffron and 1 teaspoon of sugar in mortar and pestle. Grind saffron and sugar into powder. Scoop 1 cup of the warm milk and cream mixture and pour in a thin stream into the lightly beaten egg yolk and whisk at the same time. Then transfer or pour the egg-milk mixture into the pot again. Remember to keep on whisking! Sieve the egg-milk/cream mixture into a heat proof bowl. Pour the sieved mixture back into the pot. Add rosewater and pounded (grinded) saffron powder. Keep on stirring the mixture on low to medium heat (not to boil), until it thickens. Pour out into a heatproof bowl. Place a piece of cling wrap/ Gladwrap directly onto the mixture, to avoid skin from forming. Serve with some crushed pistachios. Wow!!! 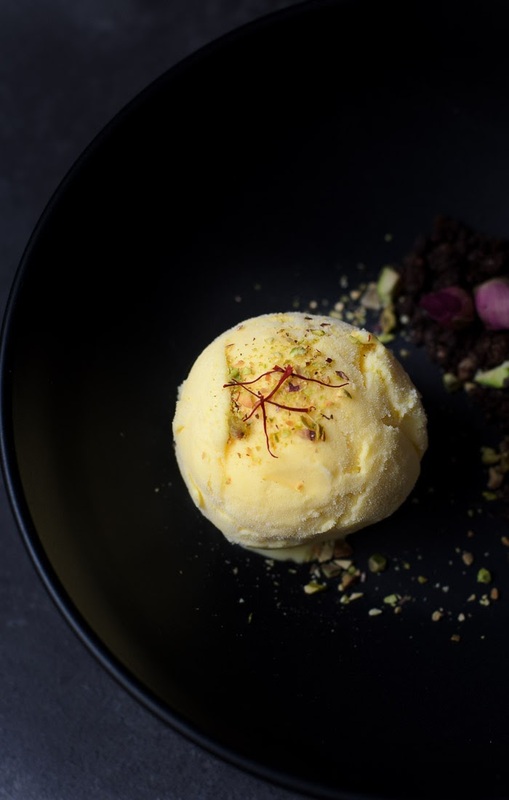 this Saffron and rosewater ice-cream tempting me a lot. Thanks for sharing the post. 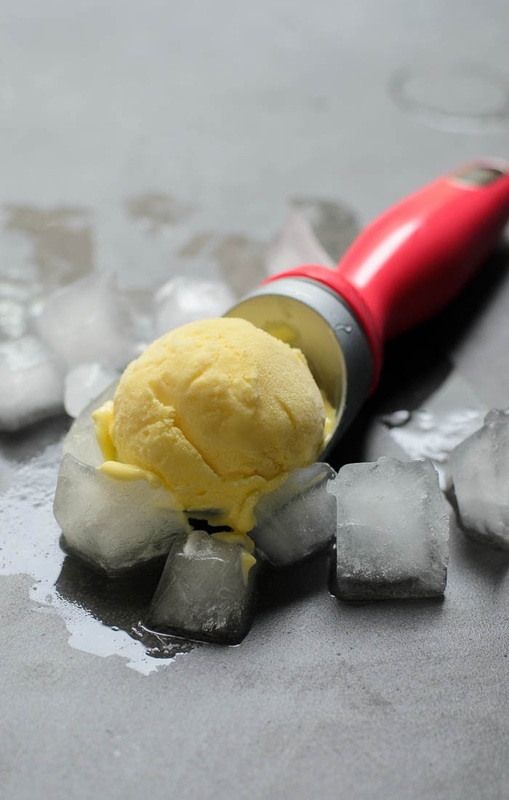 Can you make it without an ice cream maker?